Cozumel is Mexico’s third largest island and is regarded as one of the best dive sites in the Mexican Caribbean, perhaps even the world. 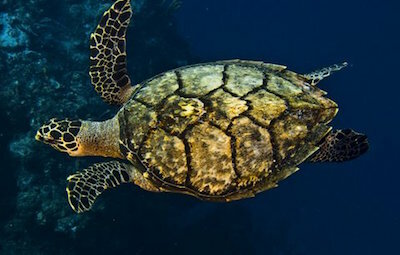 Cozumel is an untouched sub-tropical paradise. 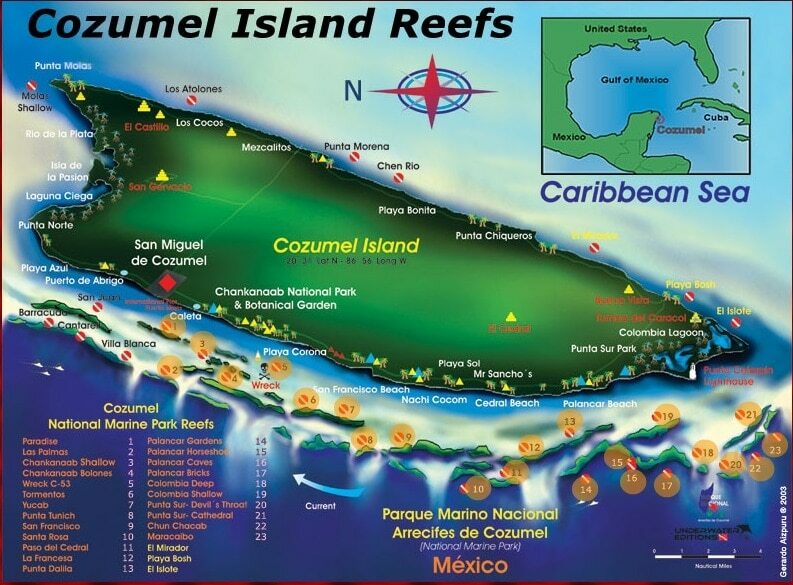 Cozumel is just off the peninsula of Yucatan. You can easily reach Cozumel from the nearby Playa del Carmen ferry. There are 3 different companies and they are separated in 1/2 hour. 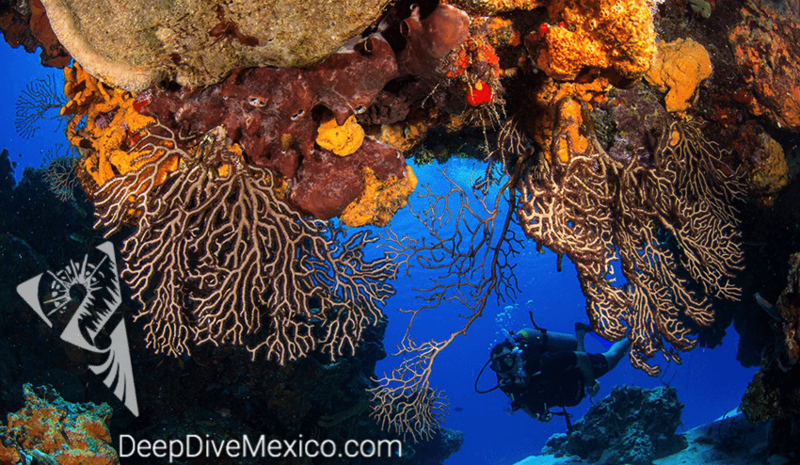 With a diving-friendly climate all year round, Cozumel is one of the most beautiful and at the same time the most hidden diving wilderness. While you snorkel or dive, you will not experience being shoulder to shoulder with a stranger in the water. 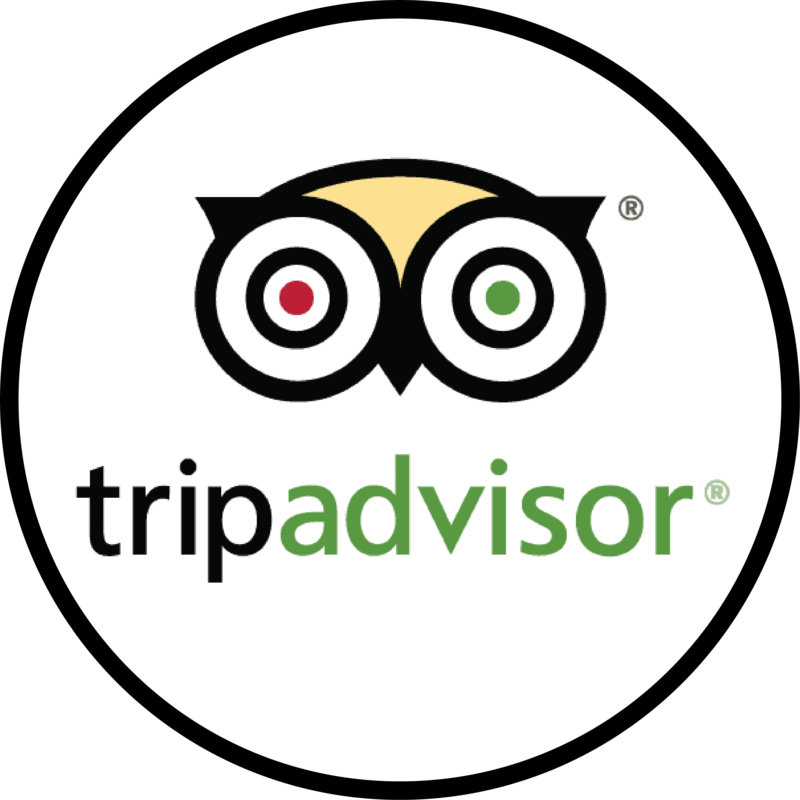 We dive as early as possible to ensure that your dive is as relaxed and natural as possible. Reefs and coral formations in shallow water are the backdrop for almost every marine adventure that you can enjoy on Cozumel. This is omnipresent on the west coast of the island, from the southern tip almost to San Miguel.The coast is a marine protected area and also the second largest barrier reef in the world. Fishing is not allowed. The nature is very nice and enjoyable. 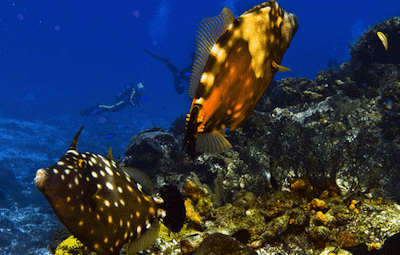 The world-famous Colombia and Palancar reefs form a ring around the southern tip of Cozumel. These natural wonders you just have to love. 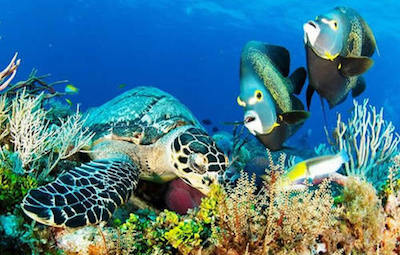 These two reefs are bound to the sea’s treasures of nature with an abundance of colorful corals and other marine life. Those who were the first settlers on Cozumel can not be known exactly. The Maya left no evidence behind after the Spanish conquest. The island was an economic and religious center of the region as early as 1000 AD. She was sacred to the Maya and dedicated to the moon and fertility goddess Ixchel. The temples were attractions for pilgrims, especially for women who wanted children. According to the legends of the Maya, the islanders erected temples for the goddess Ixchel. Ixchel was the goddess of the earth and the moon, the protector of water, rainbow and pregnant women. Thereupon the goddess, as a gesture of gratitude, sent the swallow, her favorite bird, to the island. That is why the island today also bears the name “Isle of the Swallows”. The first Spanish explorer was the Conquistador Juan de Grijalva. He landed on Cozumel in 1518 and called the island “Isla de Santa Cruz”. For Hernán Cortés she was the first stop on his conquest of the Aztec Empire in 1519. At this time around 40,000 Maya lived on the island. They were almost completely exterminated by the small pox disease brought in by the Spaniards.San Gervasio There are several ruins on the island. The largest Mayan ruins on the island were blasted and buried to build a runway for airplanes during the second world war. The ruins of San Gervasio in the center of the island are the largest remaining ruins of the Maya. In 2005, Cozumel was directly hit twice by hurricanes. On 18th of July Hurricane Emily hit the island, followed by Hurricane Wilma on 21st of October. We start at 8 in the morning with the ferry crossing from Playa Del Carmen to San Miguel / Cozumel. This costs about 25 USD (depending on the exchange rate). After about 40min crossing you reach the island. From the ferry boat, head towards the mainland where you will turn right at the beach promenade. After about 400m distance you reach a pier where there is a German diving instructor who meets you and goes with you to the boat. The journey to the southern Cozumel is about 40 minutes more by boat. 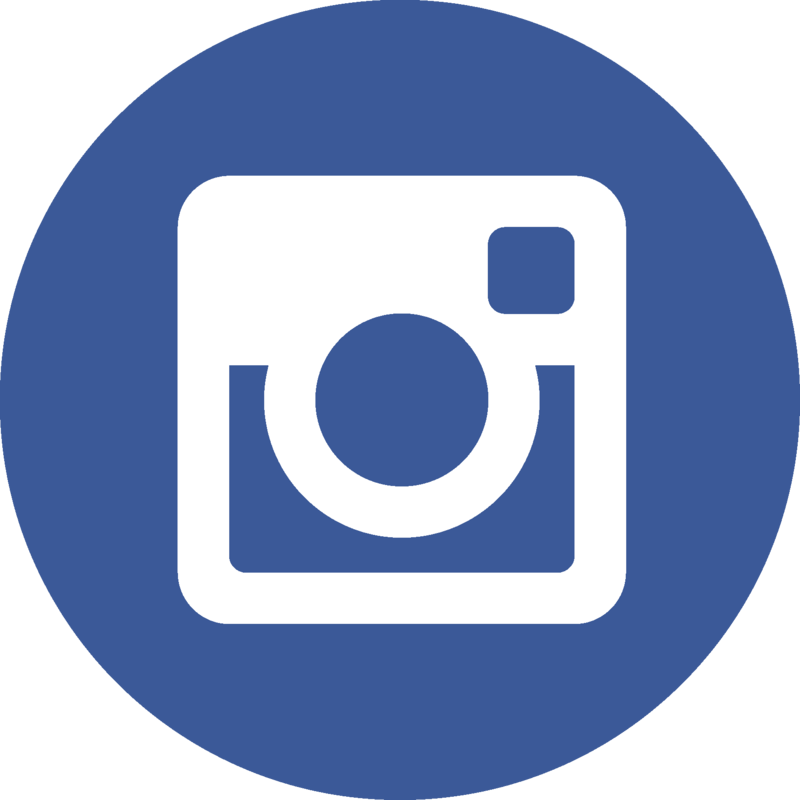 You will have lots of time to listen to the good and extensive briefing. The first dive is mostly down in the Palancar area where you can observe the second largest barrier and its steep walls. 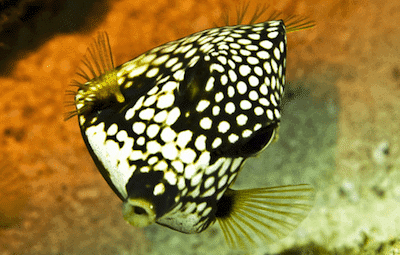 Pleasant flow will allow you to drift.After a good surface break and a small snack, you will go home where you can take a second drift dive at one of the numerous reefs. We come back to the ferry peer with plenty of time to enjoy a beverage and stroll through the shops. We are back in Playa del Carmen around 4pm. Palancar Gardens is a southern reef part of the Palancar chain. Normally we make this dive first. The dive starts mostly in the shallow sandy area (18-21ft) where you can dive independently from there to the steep wall. This is where you can simply drift through pleasant currents or you dive inside the reef through one of the countless reef caves. 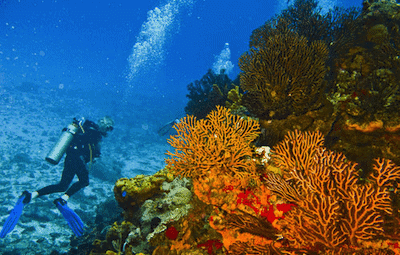 The fish here is not as high as on other reefs, the gigantic coral towers will surely give you an unforgettable dive. Normally the second dive is made here. At moderate currents you can observe about 3-4m high coral blocks parallel to the shore. To follow the reef’s edge you should keep to the left side of the reef. Many turtles, nursery sharks and larger bar fountains are at home here. 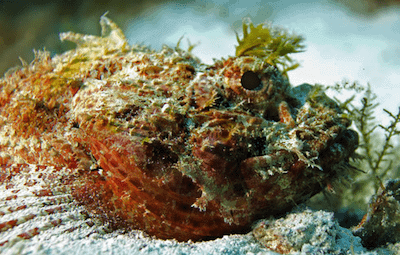 With a trained eye, you can always find crawfish, octopus or even the coral shrimp fish. In the sandy sections, there are often American hollyhocks or sea urchins. 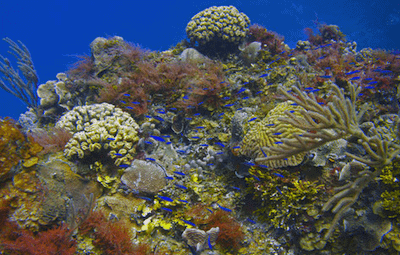 Paso del Cedral is one of the dive sites that can be dived in several variations. On the one hand there is the Dropoff which is very similar to that of the Santa Rosa reef, on the other hand you can also dive the inner reef here. 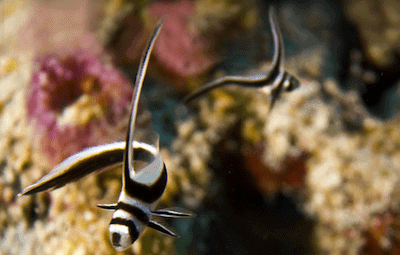 The current here is moderate to strong, which gives us a lot of marine life. 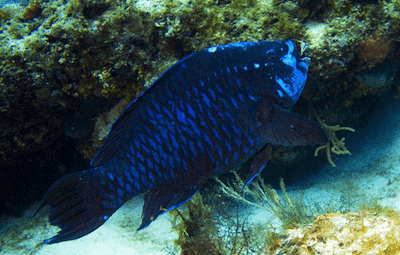 Here you will find a lot of parrot fishes, barracudas and nurse sharks. 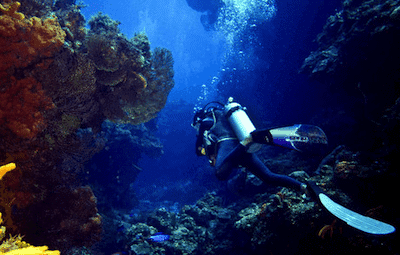 This dive site is very suitable for photographers. Tormentos is a simple second dive. The reef edge is always on your right shoulder. 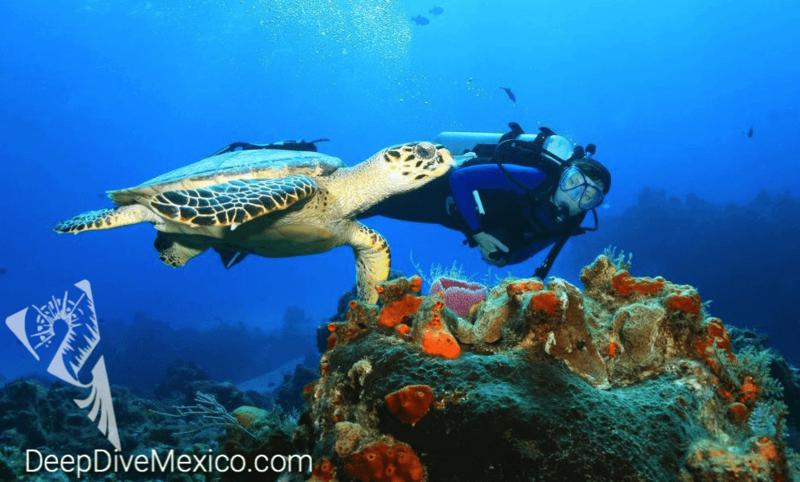 Divers with good air consumption can start in Yucab and dive to Tormentos.The reef is full with overhangs where you can find many schools with grunts or snappers. 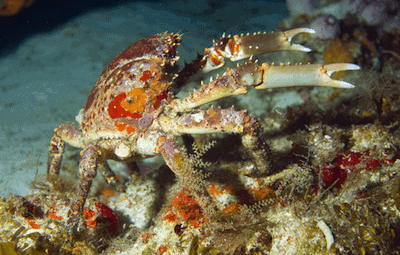 Many lobsters and king crabs also feel at home here. 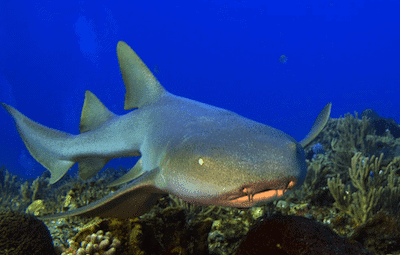 With a bit of luck, you’ll be surprised by an eagle ray or a nurse shark.